Lace up those sneakers, grab a reusable water bottle, and get ready for WalkingTown DC and BikingTown DC from Cultural Tourism DC. 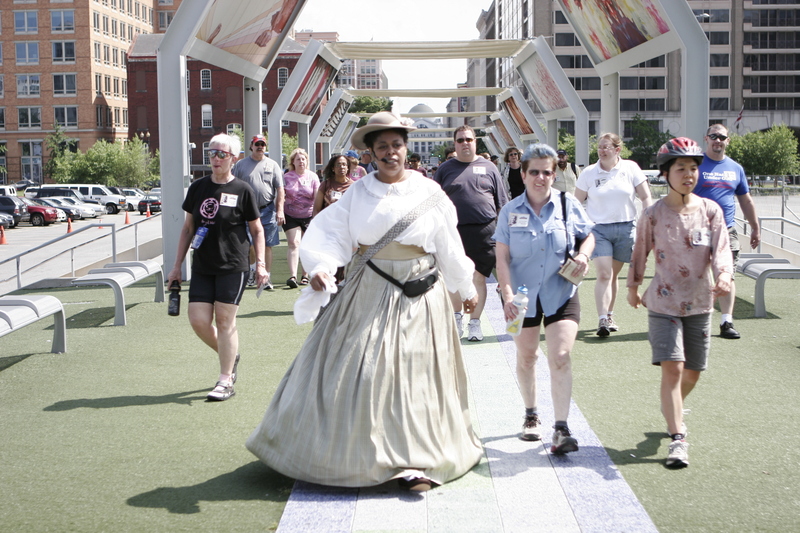 On May 22 and 23, you can explore Washington’s vibrant neighborhoods by foot or bike, following local guides and community leaders as they share historical anecdotes, point out architectural gems, and discuss current issues in neighborhoods from Georgetown and Eastern Market to Columbia Heights and Anacostia. With more than 100 walking tours and 11 biking tours in all eight wards of the city, this year’s program promises to provide hours of fun, adventure, and good exercise.